According to Robert S. Kim, author of the groundbreaking new book, Project Eagle: The American Christians of North Korea in World War II, Dr. McCune attempted to guide U.S. actions affecting a little-known country to Americans which he considered his personal responsibility. Running up against the ethos of the time, McCune found no one else in government truly cared about Korea. He argued, according to Kim, for preserving Korea’s unity, and despite poor health, nearly worked himself to death attempting to bring his recommendations to President Franklin Roosevelt’s attention prior to the Yalta Conference in February 1945 (McCune died in 1948 at age 40). 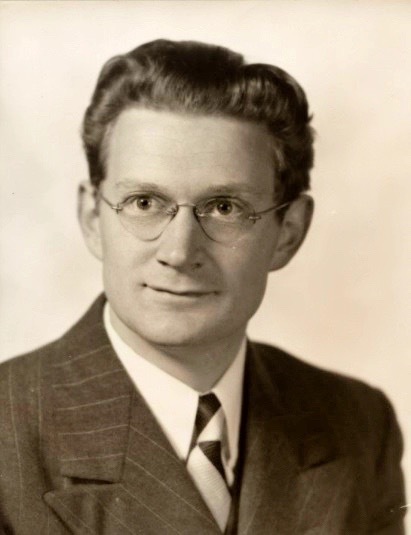 Dr. George M. McCune in 1946 (courtesy University of California Archive). The OSS also utilized numerous Korean-Americans, some of whom came to positions in which they could have had a significant impact on a postwar Korea. 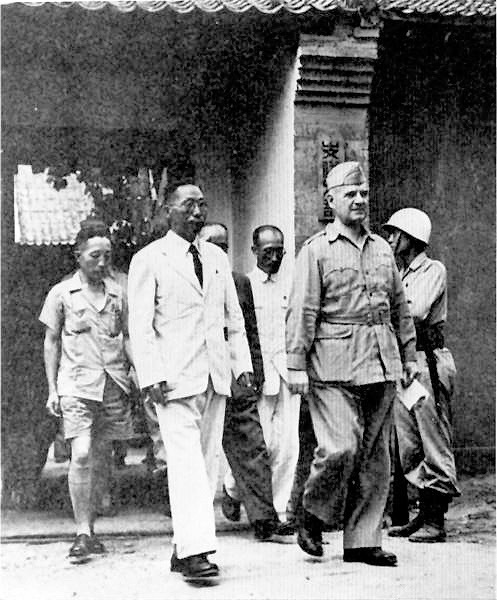 The highly-decorated Maj. Gen. William J. Donovan, director of the OSS, was unique among senior American wartime leaders because of his significant interest in Korea, which he viewed as a major weakness within Japan’s empire. 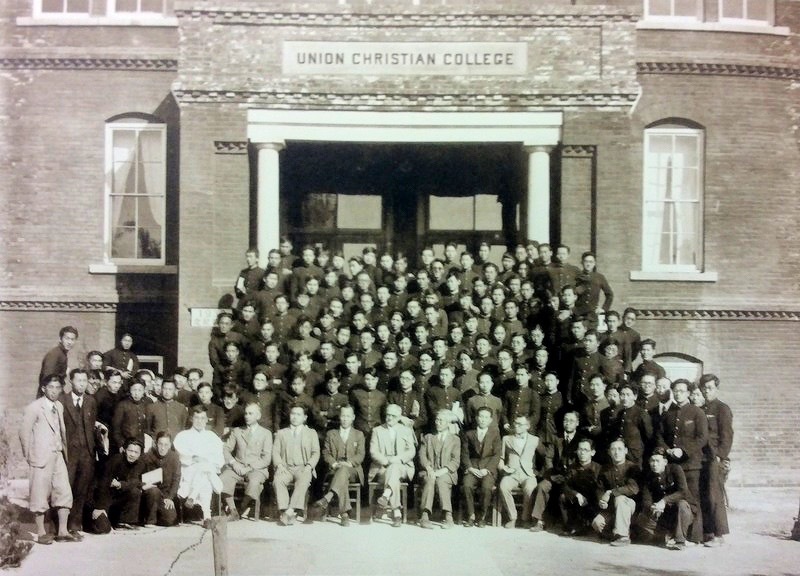 Students and American and Korean faculty of Union Christian College, Pyongyang, in 1933 (courtesy Presbyterian Historical Society). The use of the atomic bomb on Hiroshima and Nagasaki in early August 1945, with the simultaneous Soviet entry into the war in China and Korea, rapidly ended the War in the Pacific. As I have detailed elsewhere, the circumstances behind the tragic division of Korea are complex and lamentable, but nonetheless may — or may not — have been the best the U.S. could do under the rapidly changing circumstances in summer 1945. Project Eagle’s personnel were essentially the sole repository of American knowledge of Korea and had unique connections to Korean political leaders in exile. In mid-August, OSS director Donovan tried to persuade President Truman to use Project Eagle’s personnel in Korea because he recognized its pivotal position between the Soviet Union, Japan and China as vital to future Northeast Asian security. He believed Project Eagle was a crucial asset for establishing a pro-American democratic Korean government to counter Soviet influence. But Donovan’s efforts failed “because of both policy disagreements and personal animosities among senior American leaders,” Kim observes. Gen. Douglas MacArthur, Supreme Commander of the Allied Powers in the Pacific, who would lead the military occupations of both Japan and Korea, disliked Donovan and the OSS and kept them out of his theater throughout the war. MacArthur also rejected using Project Eagle in postwar Korea (while arguing for Soviet entry into the war). In other words, Truman deemed any communication from the Korean Provisional Government in exile to be invalid because the United States did not recognize it as representing the Korean people, who were colonized by Japan and considered Japanese nationals; his view toward Syngman Rhee (a senior KPG official then engaged in grass-roots efforts and lobbying in Washington to persuade Americans to care about Korea; he became South Korean president in 1948) was comparable. Truman’s rebuke, in effect, cut off Donovan’s attempt to discuss the fate of Korea and the continuation of OSS work with the KPG. Three weeks later, Truman disbanded the OSS. OSS Director William Donovan (right) with Kim Ku, president of the Korean Provisional Government, in Xian, China, in August 1945 (courtesy U.S. Army Center of Military History). Because of these disputes at the highest levels of the Truman administration and wartime American leadership, the expertise of those working with Project Eagle found themselves kept out of Korea at the crucial moment, becoming distant spectators as ill-prepared U.S. forces commanded by Gen. John Hodge, who had no understanding of Korea or civil affairs experience, arrived in September 1945 to begin military occupation below the 38th parallel. The three years of American occupation of southern Korea were a deeply troubled period for both Koreans and Americans. The expertise of these highly-trained personnel from the OSS and Project Eagle could have greatly assisted the U.S. to carry out policies minimizing political strife in the south and strengthening it at a time when the Soviet Union seized firm control of the north. The experiences of Dr. George M. McCune, Clarence Weems, Jr., and other American Christians born in northern Korea who attempted to guide U.S. policy toward the peninsula during and immediately after World War II ended in great regret. Though virtually left out of the historical record — both in the United States and Korea — Robert Kim argues “they were ahead of their time when they sought to steer U.S. attention and efforts toward a country that few Americans knew and almost no U.S. officials considered to be significant. At minimum they should be remembered as a significant part of the history of American relations with Korea.” Their story is a saga of unconsummated heroism. Theologically, even in an undivided and democratic Korea, it may have remained difficult for Rev. Moon’s teachings to be understood and accepted by returning American missionaries to (south) Korea, much less the majority of Korean Christians. Those U.S. missionaries, the last of whom were deported by the Japanese from Korea in 1942, had a decisive influence on the newly liberated Korean believers. Nonetheless, his task became far more difficult when the peninsula was divided for expediency’s sake, with a Soviet-backed regime in the north and an ineptly governed, divisive and corrupt administration in the south. The U.S. blundered into the division and occupation of post-war Korea without the benefit of the available — and prepared — expertise. Ignorance of a country and relegating it to unimportance have consequences. Americans should remember that disregarding, minimizing or deprecating another people can come back to haunt us years and decades later. The tragedy of the Korean War after the clumsy and ineffectual American occupation in the south was one manifestation; today’s nuclear and missile crisis with North Korea is another. 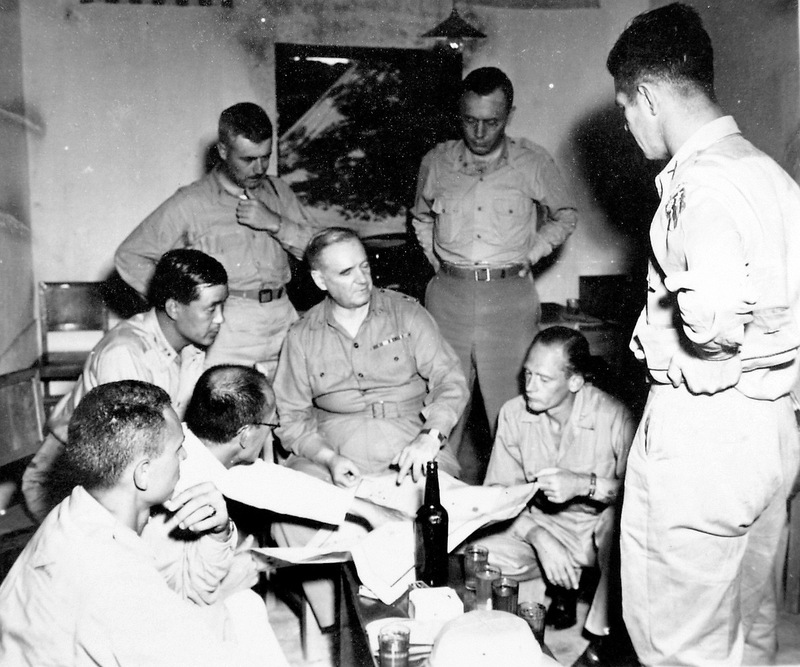 Top photo: OSS Director William Donovan discussing Project Eagle with Korean and American officers in Xian, China in 1945 (courtesy U.S. Army Center of Military History). Thanks, Mark, for this very interesting information about American missionaries from North Korea. It is ironic that their disregard for Rev. Moon was similar to Roosevelt’s disregard for them. The FBI disregarded reports about the 9/11 attackers, and the U.S. government disregarded reports by Kilsoo Haan about the imminent bombing of Pearl Harbor in 1941. It seems very hard for those with positions in government to be bothered with people bringing information that might save lives or prevent a war. For people who studied Korean, Dr. George M. McCune is also remembered for the 1988 South Korean government’s adoption of the McCune–Reischauer system of romanization of the Korean language. A modified version of McCune–Reischauer was the official romanization system in South Korea until 2000, when it was replaced by the Revised Romanization of Korean system. A variant of McCune–Reischauer is still used as the official system in North Korea. McCune was born and raised in Pyongyang; Reischauer was born in Tokyo, Japan, and was also the son of Presbyterian educational missionaries. Thanks for this very important piece. I had the great fortune to know one of these Americans until her death a few years ago and can truly testify that they really loved Korea and were as well the “best and brightest,” powerful examples of what is good in Americans and in Christianity. My friend Margaret’s parents were Presbyterian medical missionaries in Busan, where she was born. She attended the Union Christian College in Pyongyang, mentioned here, and became lifelong friends with her classmate, Ruth Graham, and later her husband (who was known to family and friends as “Bill,” not Billy). She and her family were among those evacuated in 1942; she longed ever since to return to Pyongyang and would describe the church bells there to me. I was amazed to find an American who loved Korea genuinely, not because of some kind of ideology or discipleship. Here are two things that I remember most about her. One day she told me that all her dreams were in Korean. In her 80s, she could speak it fluently, and that was because it was her first language. This would have to mean that even though her parents were American, they spoke Korean in their home, and indeed throughout the mission post. That idea certainly upgraded my impression of American missionaries. Another time, when we were at a social event where we didn’t know anyone, we were mistaken for mother and daughter. I was delighted but at first surprised because we don’t look anything alike and we were too close in age. But then I stepped back to look at her through another person’s eyes and realized that she was relating to me there, for the world to see, with the kind of intimacy that would go with a close, motherly relationship. And it wasn’t just with me, but with everyone she knew or met. My experiences with her have definitely helped me know and appreciate God as my heavenly mother. Thank you, Louise. Great comment. This link about Billy Graham’s 1992 and 1994 visits to North Korea may be of interest to readers. 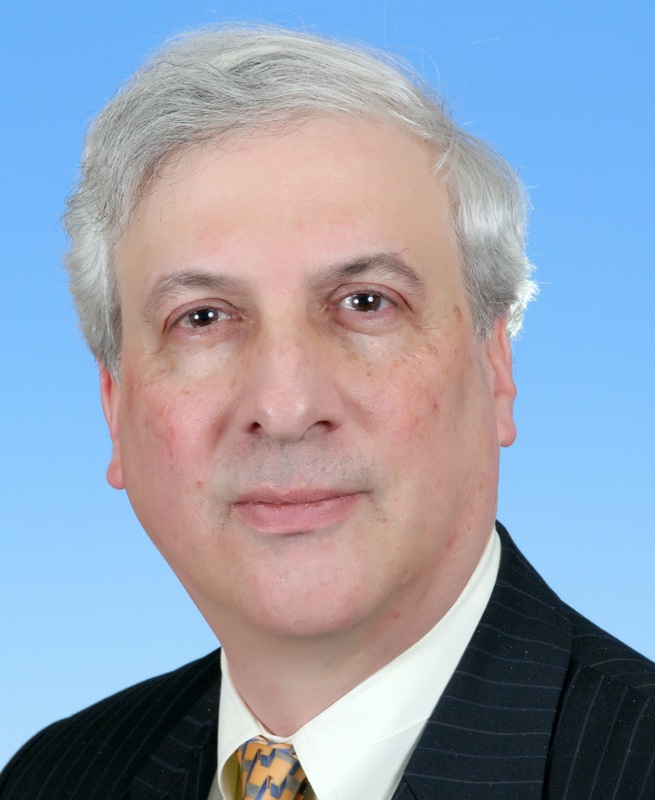 Thank you for the link in your comment, Dr. Barry. “One day in December 1991, Rodong Sinmun carried a sensational report. Sun Myung Moon, a Korean resident in the United States and the president of the Federation for World Peace, had arrived in Pyongyang to visit his native home. The news came as a surprise to the world community, since that Moon, who was born in Jongju County, North Phyongan Province, had gone over to south Korea during the Fatherland Liberation War and founded the so-called Unification Church, gaining ‘fame’ as a dyed-in-the-wool anti-communist. “More surprising than his decision to visit Pyongyang, was the fact that his visit had been approved. It was a dramatic event which was a fruit of the broad magnanimity of President Kim Il Sung. Moon’s sins against the nation were too great to be forgiven, but Kim Il Sung set great store by his determination to visit his native home in the twilight of his life and approved his visit; he even sent a special plane for him to make his journey to Pyongyang more comfortable and arranged for high-ranking officials to receive him at the airport. “Kim Il Sung thanked him for his words and said, full of confidence, that when both of them were united, they would be stronger than one man; when the entire Korean nation was united as one, the reunification of the country would be realized for sure. That day he had a photograph taken with Sun Myung Moon and his party, and arranged a luncheon for them. This was beyond Moon’s wildest dreams. The next day newspapers carried front-page reports on the reception together with the photograph, which amazed the world. The newspapers of overseas Koreans splashed this news all over their front pages. “In April 1994, President Kim Il Sung held talks with a large delegation composed of former heads of state and government and other politicians. Among them were some from the United States. “At the talks the American guests invited Kim Il Sung to their country. One of them said: “If you visit the United States, you will be given a warm welcome.” Kim Il Sung replied that if the bilateral relations between the two countries were improved, he might visit the United States. “They were glad to hear his reply, and then asked him: “What will you do if you visit our country?” It was a tricky question. But Kim Il Sung gave them an immediate answer, saying that he would make friends and go fishing and hunting during his stay in the United States. Readers should remember that this small chapter Josef cites was written in 2013 by a North Korean functionary, in the manner it was expected to be written. However, I was personally present in April 1994 when Kim Il Sung said to a visiting Summit Council delegation how much he missed Rev. Moon and wanted him to come again. I think that speaks for itself. “At the time of the talks with President Kim Il Sung, I perceived a desire to hold a North-South summit using Reverend Moon as the go-between. The North Korean president wanted to hold summit talks with Roh Tae Woo, the then-president of South Korea, and invited Reverend Moon to North Korea to broker the affair. “If President Roh had invited Reverend Moon to the Blue House (the South Korean presidential residence), if he had listened to the information Reverend Moon had about the situation in North Korea, if he had congratulated Reverend Moon on his accomplishments and asked him to mediate a summit between North and South, then [the first] inter-Korean summit could have been realized in 1992. President Kim Il Sung was awaiting such a result with incredible anticipation. There was another window of opportunity at the time of Kim Il Sung’s death in July 1994. Three years ago, I published this article in London’s The Guardian, which despite its sensational headline, describes what could have happened between the two Koreas upon Kim Il Sung’s passing and two and a half years after Rev. Moon’s visit to Pyongyang. Dr. Bo Hi Pak and the Summit Council for World Peace were intensively involved in the events of June-July 1994 concerning North Korea, South Korea and the U.S. Excellent article with great information of interest about the history of the United States and North and South Korea. It is heart-breaking that under the leadership of American political leaders, great damage was done and ignorance was displayed. The additional comments are also enlightening and give a greater picture of sadness as to what the price of arrogance and self-righteousness can be. Sadly, I believe, similiar types of stupidity and blunders were made in the post-glasnost Soviet Union, after Rev. Moon met Gorbachev. I’m sure that all the efforts made by TP for the reunification of Korea will bring good fruits very soon. Probably, one of the regrets TF took with him to the spiritual world was not having been able to see the reunification of his homeland with his own physical eyes.